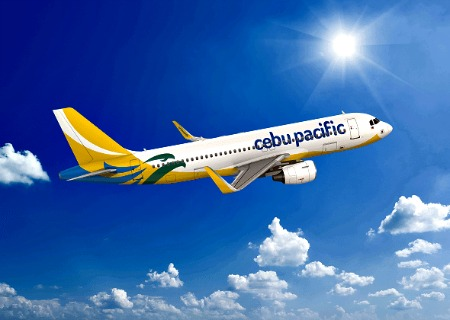 The Philippines' leading airline, Cebu Pacific (PSE: CEB), takes a step further in the Mindanao region with the launch of two more routes—this time, from the City of Golden Friendship. Starting March 15 and 16, 2017, CEB will be flying four times weekly (Monday, Wednesday, Friday and Sunday) between Cagayan de Oro and Tagbilaran; and three times weekly (Tuesday, Thursday and Saturday) between Cagayan de Oro and Bacolod, respectively. Both new routes will be using the new ATR 72-600 aircraft that is expected to arrive in early March. To introduce the new routes, CEB is offering an introductory Php799 all-in seat sale, for travel from March 15 until May 31, 2017. Travelers may book their flights from today, January 23 until January 27, 2017, or until seats last. The promo fare is inclusive of taxes and fees, while bags, meals, and other ancillaries may be added as preferred. "Cebu Pacific stays committed in providing the best connectivity options for our valued passengers at the lowest fare available in the market. These new routes will open great opportunities for everyjuan, both business and leisure travelers alike, enabling them to visit the Visayas region more conveniently. At the same time, passengers from Tagbilaran and Bacolod will now be able to explore Mindanao without the hassle, through the gateway that is Cagayan de Oro," says Alexander Lao, President and CEO of Cebgo. "Trust that we will remain devoted to exploring more routes to cater to more of our valued guests, and also to beef up economic, trade, and tourism in the destinations we operate in," adds Lao. After the sale period, CEB's lowest all-in year-round fare, one-way from Cagayan de Oro to Tagbilaran is Php1,235, while Cagayan de Oro to Bacolod is at Php1,806. CEB operates flights out of six strategically placed hubs in the Philippines: Manila, Cebu, Davao, Clark, Kalibo, and Iloilo. The airline's extensive network covers 66 destinations with over 100 routes, spanning Asia, Australia, the Middle East, and USA. CEB's 57-strong fleet is comprised of four Airbus A319, 36 Airbus A320, seven Airbus A330, eight ATR 72-500 aircraft and two ATR 72-600. Between 2017 and 2021, CEB expects delivery of one more brand-new Airbus A320, 32 Airbus A321neo, and 14 ATR 72-600 aircraft.